Wonderful cream pink and white foliage with whorled two lipped deep blue flowers formed in short spikes. Height & Spread 15 x 30cm. Happy in pots on planted in the ground. 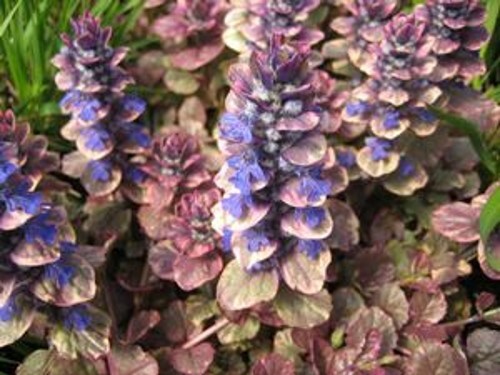 Tolerant of any soil. Very attractive to bees. Great weed suppressant. 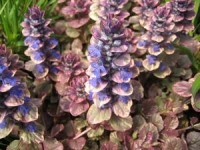 Interest and use: Ground cover, shade, rock garden, bedding.